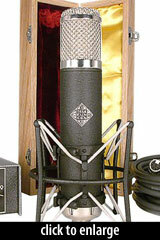 The AK47 is a large-diaphragm multipattern tube condenser microphone. Although based on the same K67-style capsule as the company’s M16, the AK47 has a much different tone or color due to the differences in circuit design, tube model, and transformer. During its conception, the AK47 was intended to be a limited-edition “signature” mic, named for Alicia Keys. The signature line never materialized, but the name stuck. Both mics are part of Telefunken Elektroakustik’s “RFT” series (for Radio Fernseh Technik). 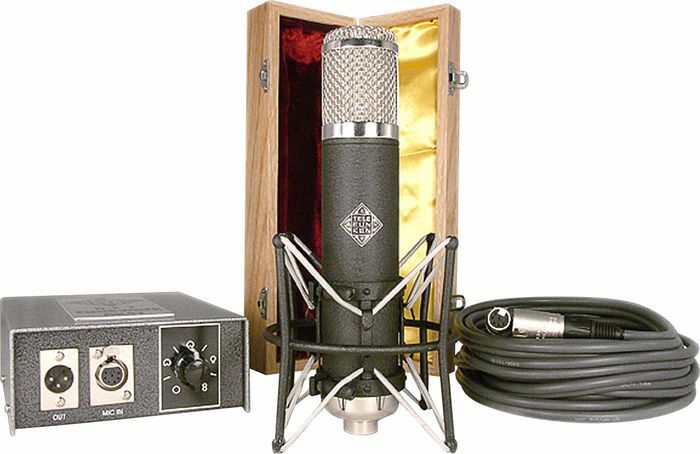 This line of microphones combines imported parts with selected Western components with the intention of creating professional microphones at prices far below what the company charges for its vintage reproductions. The AK47 amplifier circuit is new, not a vintage reproduction. It was designed by Oliver Archut at AMI/TAB Funkenwerk, the supplier of the mic’s BV47 output transformer. 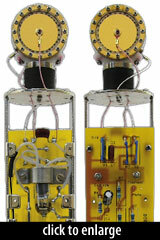 The vacuum tube is a NOS Telefunken EF-732 sub-miniature tube. The capsule is a K67 derivative, despite the “47” in the microphone’s name. Telefunken’s internal part number is TK47, but regardless it is the same China-made K67 copy as found in the M16. It is a center-terminated, large-diaphragm design with dual 6-micron membranes. A switch on the power supply allows selection of omni, cardioid, figure-of-8, or intermediate patterns (9 total). The AK47 ships with an elastic shockmount, 7-pin cable, PSU, and a padded wooden box for the mic. For general use I prefer a large-diaphragm condenser with more midrange and low-end warmth [than the M16 Mk II], and that’s just what the AK 47 delivers. I was consistently impressed by this mic’s rich tone, graced by an extended high end that kept it from being too warm or undefined. With the AK47 I got a great sound both really close to the singer and 12-14 inches away. In fact, it seemed that wherever I pointed it I got a positive result, and I needed little or no EQ to arrive at the sound I wanted. The Telefunken Elektroakustik R-F-T AK47 is also known as: AK-47.